We often have to create a block with text or attribute that must always be readable. Even if we need to rotate the block, the text must have the same orientation. For example for this tag below. We can only make one; the text rotation will never change. We just need to change an option in the Text Style. Open Text Style dialog. Type STYLE then press Enter. 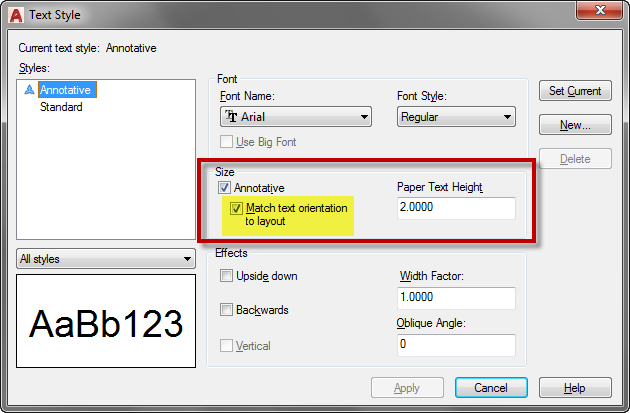 Use the default Annotative text style or make a duplicate. This setting only active if you use an annotative text style. If you are interested in learning more about Annotation Scaling, you can download the e-book for free on Autodesk App Store: Working with AutoCAD Annotation Scaling. 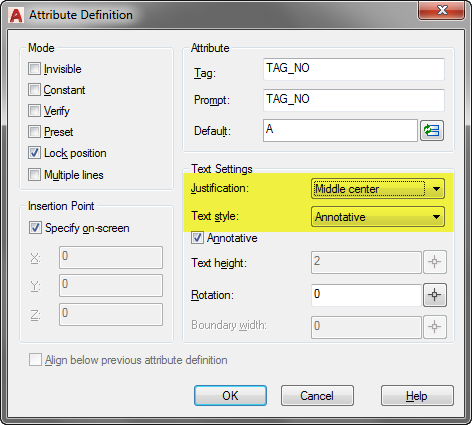 Open Attribute Definition dialog. Type ATTDEF then press Enter. Fill Tag, Prompt, and Default fields. Change the Text Justification to Middle Center and Text Style to Annotative (see this image below). Place the tag in your drawing. Create the tag symbol as necessary. 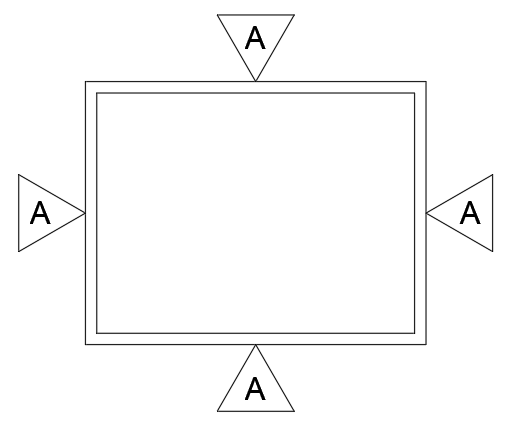 Place the symbol and make the attribute insert point coincident with the symbol center. We need the attribute to stay at the center, that is why we set the justification as middle center and the placement at the symbols center. Create the block as usual. Type BLOCK then press enter. 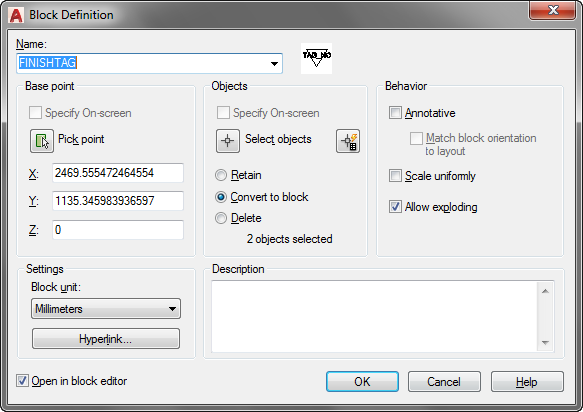 Select the objects, define the pick point then click OK.
You cannot create Annotative Block with this behavior. Leave the option unchecked. You also cannot make it a Dynamic Block. If you want to master AutoCAD Block, you can purchase our e-book here: AutoCAD Block Best Practices. Now try to insert the block and see how it works. If you have problem following the tutorial, you can follow this video as a reference. 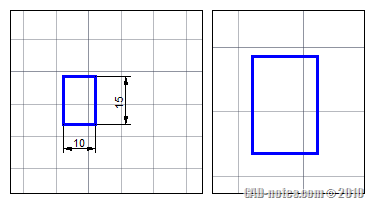 AutoCAD dimensions are Missing in Other Viewport: How to Fix It? 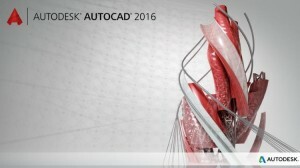 AutoCAD for Mac, AutoCAD with Basic Functionality?